We teamed up with 2x4 and Surface Magazine to celebrate Surface Magazine’s 25th anniversary during the Salone del Mobile design and furniture fair in Milan. Aptly called The Diner, the experience offered a coast-to-coast journey through the United States. Four distinct environments—the Roadside Diner, the East Coast Luncheonette, the Midwest Diner, and the West Coast Diner—riffed on aesthetic ideas from around the country with a modern twist. The Diner was a site for conversations about American design—what it is, where it’s going, and the nature of its impact on a global scale—and confirmed its relevance as a vehicle for ideas and source of inspiration. 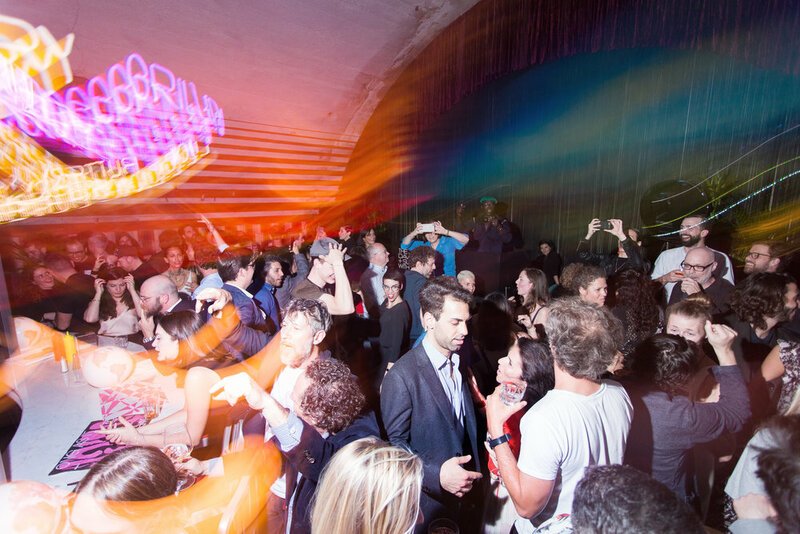 During the day, The Diner offered a contemporary take on quintessentially American food and drink, and featured a conversation series and other programming; at night, the space transformed into a nightclub featuring performances and parties. Located at Ventura Centrale, The Diner was a major attraction in Milan and won the award for “Best Engagement” from the Milano Design Awards. The Diner reinterpreted the classic American roadside restaurant and became a place where strangers became a community.